How do you know if you’re using the right grease? A big question for today’s machinery operators as due to the advances we have seen in lubrication, you could be potentially using a high-quality grease. This is all well and good but many operators don’t understand what product they are using. This is completely understandable as greases are changing and evolving on a daily basis and the requirements for machinery alter at an astounding rate. The developments in grease have been innovative and industry changing, with many customised products that suit specific needs and industries such as the requirement in steel, cement, automotive, off-highway, chemical, food processing, mining, marine and agricultural industries. the right product for the jobs. 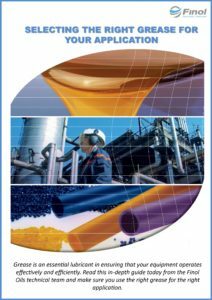 This eBook focuses on giving decision makers and end users all the detailed information necessary for choosing the optimum lubrication grease for any requirement. Information provided in this document ensures an informed and practical decision. Find the right contact for your enquiry and get in touch now!